Twenty-five international freedom of expression organizations today joined the International Press Institute (IPI) in calling for the acquittal on Monday of journalists Erol Önderoğlu and Ahmet Nesin and Human Rights Foundation chair Şebnem Korur Fincancı in Turkey. 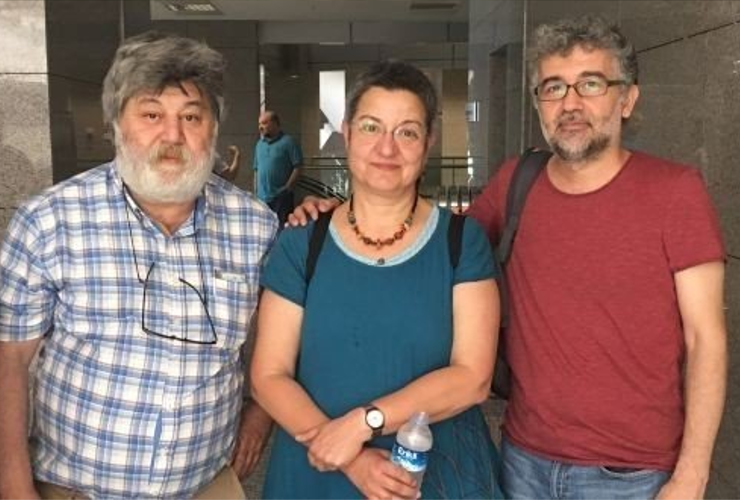 The three have been on trial accused of disseminating terrorist propaganda, among other charges, for over two-and-half years after serving as “guest editors” for the pro-Kurdish newspaper Özgür Gündem in a solidarity effort to support the now-shuttered daily. Read the joint statement below. The below-named freedom of expression organizations denounce the lengthy judicial harassment suffered by Reporters Without Borders representative and IPI member Erol Önderoğlu, Turkey’s Human Rights Foundation Chair Şebnem Korur Fincancı and journalist Ahmet Nesin and call for their full acquittal at the hearing on April 15, 2019, when a verdict is expected. 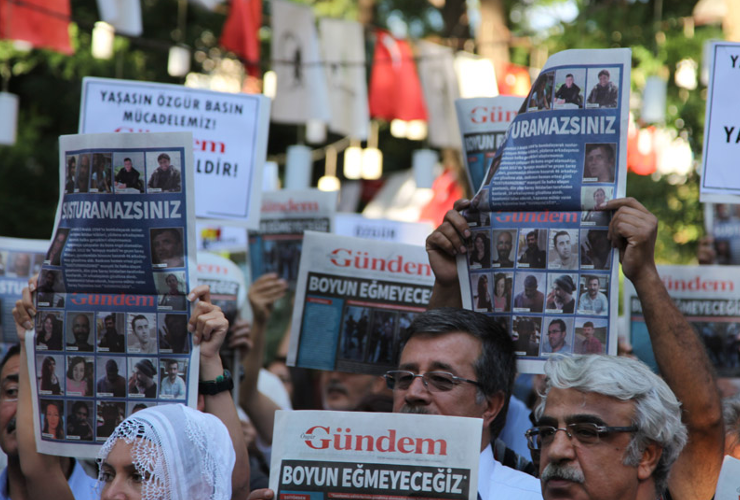 The three defendants are charged with “engaging in propaganda for a terrorist organization”, “incitement to commit a crime” and “praising criminal activities and those engaged in them” for standing in as guest editors in the “Editors-in-Chief on Watch” solidarity campaign for the shuttered pro-Kurdish daily Özgür Gündem. We further denounce the ongoing detention and prosecution of scores of journalists in Turkey as an autocratic attempt to silence all dissenting voices and to prevent independent journalists from carrying out their profession. We offer our support and solidarity to our colleagues Önderoğlu, Korur Fincancı and Nesin, who have been subjected to a trial lasting almost three years, and we call on the Turkish government to cease such oppression of journalists, academics and writers. “This case is about an act of collegial solidarity that should never have resulted in criminal proceedings. Turkey must cease violating the rights of journalists to disseminate the news and of the public to receive balanced reporting,”, Caroline Stockford, Turkey Advocacy Coordinator at the International Press Institute, said. “By targeting prominent human rights defenders, the authorities aim to decimate what little remains of civil society in Turkey. They will not succeed. We stand united with our colleagues and insist that this relentless judicial harassment cease,” said Sarah Clarke, Head of Europe and Central Asia at ARTICLE 19. “International public opinion should know that Turkey is not merely Erdogan’s Turkey. Like Erol Önderoğlu, Şebnem Korur Fincancı and Ahmet Nesin, there are many people and courageous initiatives that need to be heard about and be supported. This is why providing the international public with continuous and in-depth coverage on Turkey is so important today”, Chiara Sighele, OBC Transeuropa. “We stand united in support of Erol Önderoğlu, Şebnem Korur Fincancı and Ahmet Nesin. We promise that we will do our utmost to support the journalists and to put pressure on the Turkish government to cease the prosecution and detention of journalists“, said Kjersti Løken Stavrum, Vice President of Norwegian PEN. 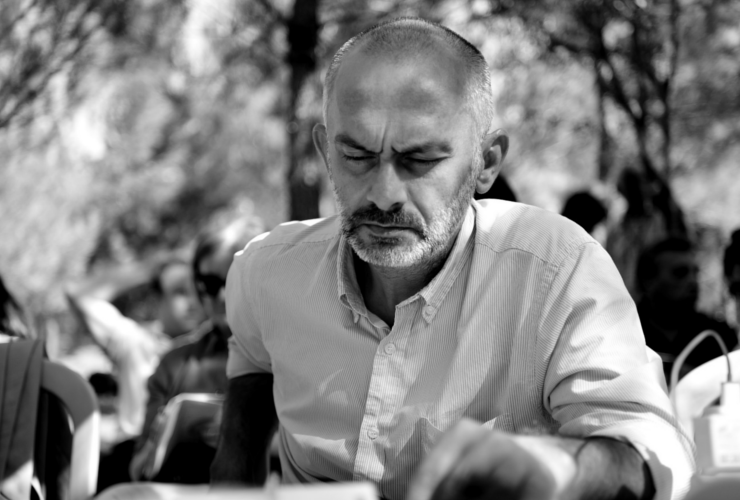 Özgür Gündem has long been targeted by Turkish authorities for its journalism. Last month the European Court of Human Rights (ECHR) ruled that Turkey had violated the right to freedom of expression in systematically bringing terrorism-related criminal cases against Özgür Gündem’s owner, Ali Gürbüz, between 2004 and 2005.